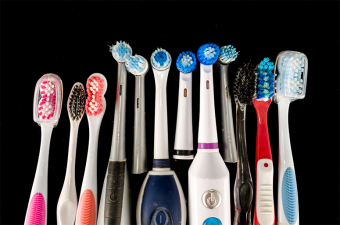 The type of electric toothbrush you choose is mostly up to your personal preference, but there are a couple of features most dentists recommend. Electric toothbrushes with a small head make it easier for you to reach the tight spaces in the back of you mouth, and behind your front teeth. It simply provides better maneuverability and access to tighter spaces that a bigger head would not be able to reach and clean as effectively. Electric toothbrushes featuring round, rotating heads mimic the ideal circular brushing motion recommended by dentists. 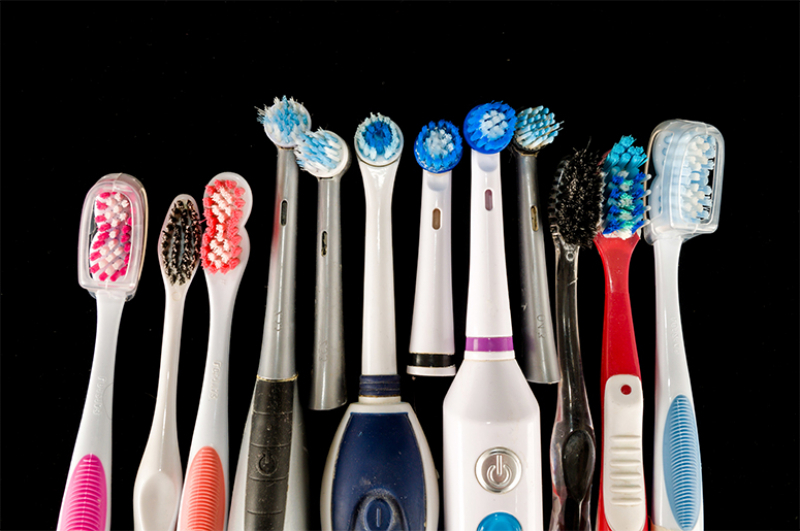 This means you can just move the toothbrush over your teeth and the toothbrush will make the circular motions for you. Many electric toothbrushes come equipped with a built-in timer that goes off after two minutes, which is the recommended length of time you should be brushing your teeth. Built-in timers tell you exactly how long to brush; two minutes feels longer than you might think, if you’ve just been guessing! Some electric toothbrushes have other helpful features, depending on your needs. For instance, some have a pressure sensor, which can be quite useful for those who have sensitive gums, or brush too hard. Several models feature timers that go off every 30 seconds, so that you know how long to brush each quadrant of your mouth. If you are considering investing in an electric toothbrush, contact your Surrey dentist at Cloverdale Crossing Dental Group today to book a consultation to discuss your options.